From a review of Yehuda Bauer’s The Death of the Shtetl, on the Jews of the Eastern European shtetlach (shtetls) in the Nazi age. MO: In the book, you use the term “amida” to signify defiance, was there defiance in the shtetl? YB: There certainly was defiance in many shtetlach — there was also a total collapse of society and the lack of any kind of defiance in other shtetlach. I tried to find out why there should have been just widely different types of reaction in communities that were geographically and socially so near to each other. MO: How did the partisans fare? 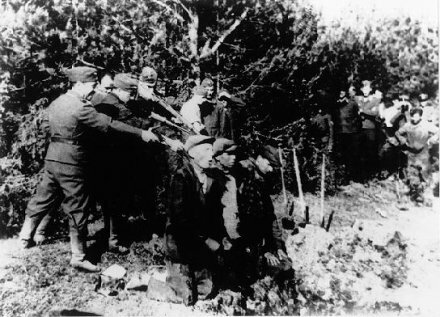 YB: There were many, probably thousands, of Jews that were murdered by Soviet partisans, and there were thousands who survived because they joined the partisans. It is far from being a black-and-white story, and I tried to explain why that should have been so. 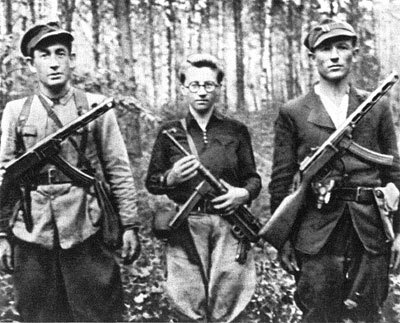 Most people who survived owed their lives to either the few people who hid them and fed them, or to Soviet partisans. At least one major partisan commander (Vassily Chernishev [“Platon”]) was recognized as a “Righteous.” Some of the murderers among the partisans are also known by their names. “The Hebrew term amidah…means literally “standing up against,” but that does not capture the deeper sense of the word. When I speak of resistance, I mean amidah, and that includes both armed and unarmed actions and excludes passive resistance, although that term is almost a non sequitur, because one cannot really resist passively. When one refuses to budge in the face of brutal force, one does not resist passively; one resists without using force, and that is not the same thing.